FC Barcelona have paid tribute to, with UEFA’s blessing, to Leo Messi’s recent feat of reaching 100 goals in Europe’s top club competition. The Barça number 10 reached his century with a strike against Chelsea in the last 16. 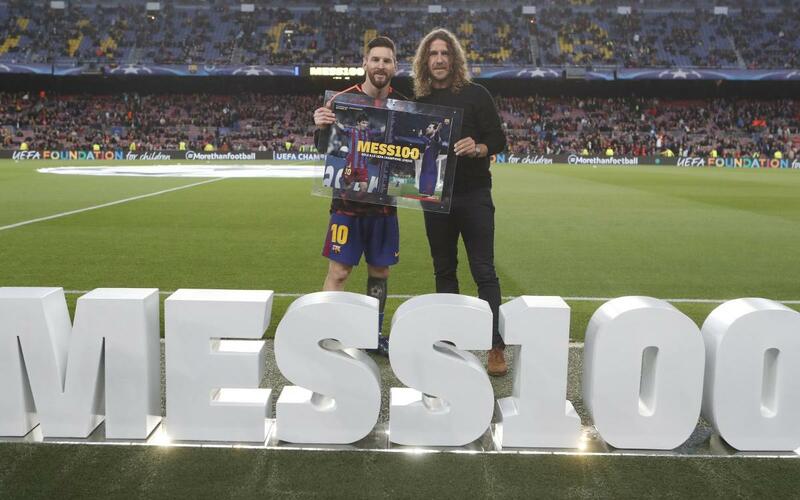 Before kick off against Roma, the Argentine received a commemorative framed image which contained references to his first and 100th strikes in the Champions League as well details of every single goal in the competition. Messi scored his first in the competition on 2 November 2005 against Greek side Panathinaikos and his 100th came on the 14 March 2018 when he beat Chelsea keeper Thibaut Courtois to reach the landmark figure.